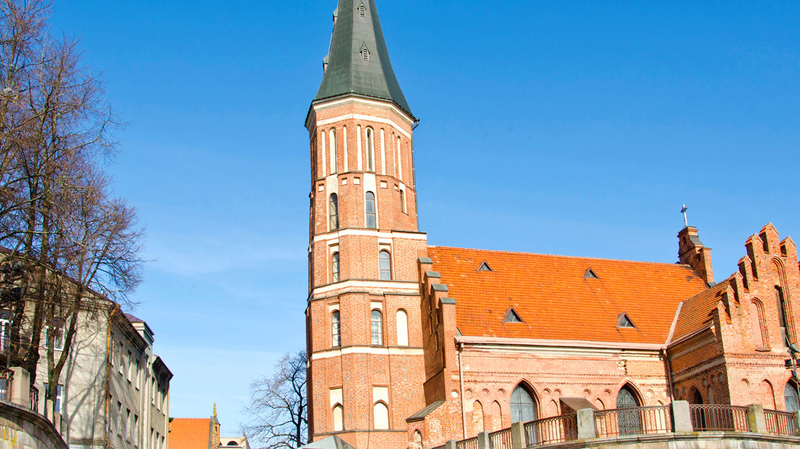 Search for the best flight prices from Stansted to Kaunas. Compare prices, book today and save money with Stansted Airport. Kaunas is a thriving modern city with a healthy smattering of excellent museums, inspiring architecture and a bustling student population. Be sure not to miss a trick when exploring many Old Town boutiques, where the city’s famous amber jewellery can be bought at a great price compared to other Baltic countries. Local artisans are also a huge draw for treasure hunters, with lovingly hand crafted merchandise including bone china tea sets elaborating painted to an unbelievable standard. Lithuania’s second largest city and former capital is awash with wonderful old baroque buildings and has few of the Communist blocks that blight Vilnius. What’s more, you don’t just get to look at them – you can stay in them as well. Hotel Metropolis is one of the nicest and has individually decorated rooms, giving it a cosy boutique feel. A comfortable option is the Magnus Hotel, conveniently located close to the central bus station and opposite the Akropolis shopping centre. For something a little cosier, try the Litinterp Guesthouse Kaunas, a family-run spot close to the quaint cafés of Laisves Aleja. Kaunas is famous for its amber jewellery which costs less here than in other Baltic countries. The best is to be found on Vilnius Street in the Old Town, where you’ll also find boutiques selling the local earthenware pots and handwoven linen. Most of the international brands are to be found in the vast Kaunas Akropolis shopping centre but give the annoyingly overpriced Zara and co a miss in favour of ImDeco, where you’ll find beautiful bone china dishes, cups and pots complete with elaborate hand-painted designs. Laisvs Alja is the main spot for street sellers, in particular, artisan food producers selling everything from flavoured vodka to delicious slices of Šakotis. Although you might not consider Lithuanian cuisine to be of note, the local diet in Kaunas has several must-try dishes including chilled beetroot soup, specially made cepelinai dumplings and a bready alcohol called kvass. Breakfast often consists of a mixture of both sweet and savoury pastries, doughnuts being a favourite, while you’ll be able to find most of the same food as you would in Britain for lunch or dinner. A huge folk arts and crafts fair, Kaziuko Mugė brings artists from all over Lithuania – as well as Russia and Poland – to Kaunas for the annual market that fills the streets of the Old Town. Kaunas gained official city status in 1463 and Kauno Miesto Diena or ‘Days of Kaunas City’ celebrates the anniversary via a huge folk fair and numerous musical performances. Despite the name, Kaunas annual petrol fest takes place each June and sees the city thronged with bikers from all over the world. Don’t miss the impressive ‘Fire Angel Show’ synchronised display. Lithuania’s version of the Proms, Pažaislis Muzikos Festivalis brings together classical musicians, church choirs and singers for a series of concerts over the summer months. Kicking off in July, proceedings come to a close at the end of September. The perfect way to get into the Christmas spirit, Kaunas Cantat is a three-day event that pits choirs from all over Lithuania against each other in a festive sing-off.